Love Bejeweled!! 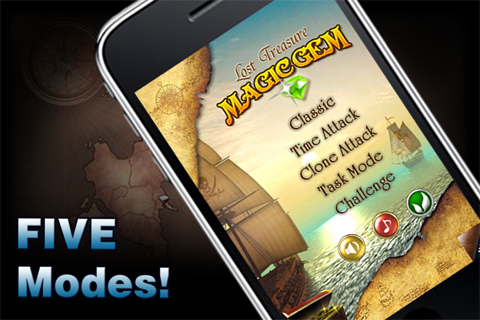 Magic Gem 1.0.4 Out Now! 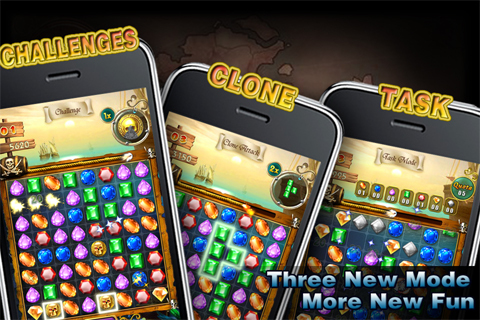 Discussion in 'Android Apps & Games' started by WuZlaGames, Aug 17, 2010.
iPhone game Magic Gem has now arrived for Android! 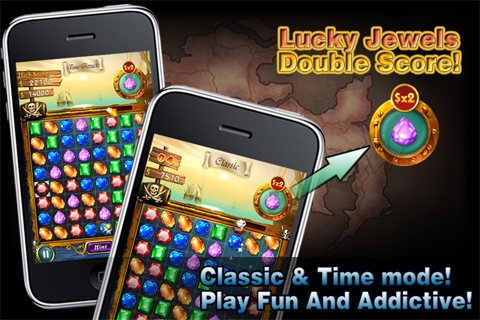 If you like swapping and matching jewels then you will love magic gem. 5 game modes, Not only the classic mode, there are more new mode. Go to 'Market' on your Android-powered device. Enter 'wuzla' into the search field. &#9733;&#9733;&#9733;&#9733;&#9733; by Marc (August 16, 2010) As Mr. Burns would say: Exxccellent. &#9733;&#9733;&#9733;&#9733;&#9733; by Adrian (August 10, 2010) Fun way to pass the time. &#9733;&#9733;&#9733;&#9733;&#9733; by missbizzylizzy (August 5, 2010) Very addictive-love it! I tried the demo and then bought it. Really enjoying the game. It's well made and nice looking, definitely sets it apart from the many Android games out that look like Windows 95. If you love quick paced puzzle games this is the game for you! This is a solid game and much more fast paced than the others I have tried on Android. My only complaint is that the jewel you previously used is still selected after the move is complete. If I start a move by swapping blue for red, and the red disappaears, the blue is still selected. Just annoying. But that in consideration, still hands down the best "Bejeweled" type game. This game is like Bejeweled only better! Addictive and fun! It's a great game. One minor improvement would be to save your name on the high score list because my wife like to play it as well. Another great suggestion, and I'm surprised its not there from day 1. Awesome puzzle game, very polished. Very nice game! This is replacing Jewels on my Vibrant. Best gem matching game ive played! Just tried Babo Crash and it's pretty good as well. Offers some unique game play that others don't. Very impressive! I love the graphics and sound effects. While I was waiting for Angry Birds Lite to come out I bought this game. I really enjoy playing it. Only wish there were a help tab and a way to input your name into the high score. Other than that it's pretty cool. I bougth this game. Great game! Way better than Jewels. I love this game! It's so addicting! I jus bought the paid version so I can move past level 8. It's love! So much better than the other gem-type games out there. Closest to Bejeweled for PC I've found. Good job Dev! Awesome awesome awesome!!! Love it! 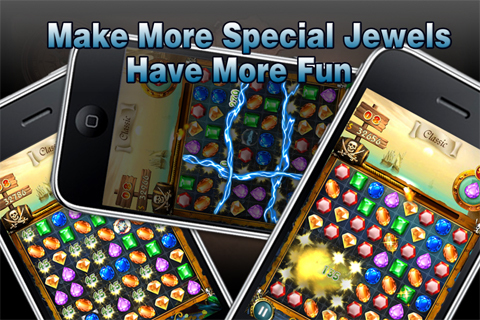 Best jeweled game ever. Love the effects. Very fun, awsome graphics, one of the best game in market. If u like jewel, u will love this. Good game, needs better tutorials.